It is no secret that the heat and humidity in summer can be uncomfortable for our pets, so it is important to follow some key pointers to make sure they stay cool, hydrated and safe throughout the warmer months. 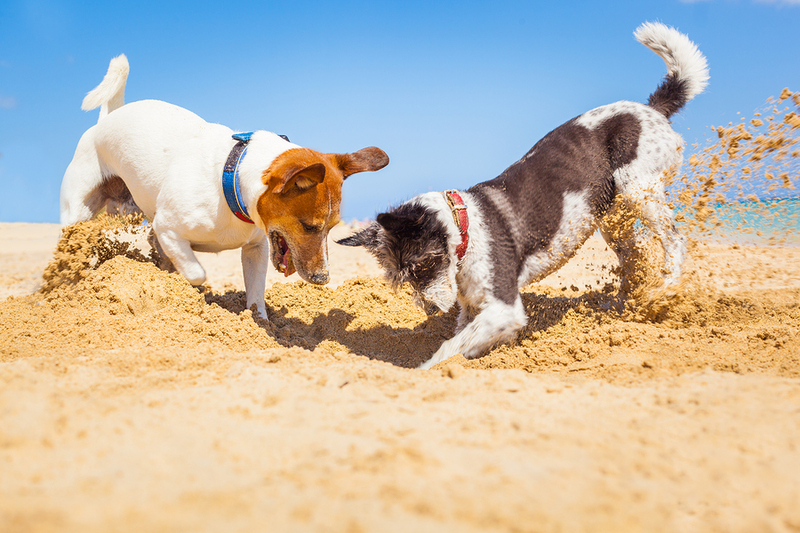 Read on for our top tips for keeping your pets healthy and happy in summer. Staying cool in summer may seem like a no-brainer for us humans, but sometimes we forget about how the heat may affect our favourite furry friends as well. That’s why this summer make sure your pets stay cool and have access to plenty of shade throughout the day and night. If you are working during the day or if you have to leave your pets alone for a period of time, ensure all pets have access to cool and covered areas in the backyard or inside your house with plenty of water. If you own chickens, a good idea is to wet down their chicken run as chickens stay much cooler when they can sit on the wet ground. If it’s going to be a sweltering day, it’s best to keep all pets indoors on cool tiled floors and if possible with the air-conditioner left on. Make sure there is enough water available and you can even add ice blocks to their water bowl to make it nice and refreshing. Leaving our pets in the car during summer can cause them to overheat and become dehydrated. This is true even if the air-conditioning is left on so it’s best to avoid taking them in the car if possible. If you need to take them in the car, don’t leave them unattended and always bring a big supply of water. There is nothing that cools pets down more than a swim! If you have a dog, let him or her swim in your pool, at a dog-friendly beach or even down by a local lake or river. This is a great way to encourage them to exercise and stay cool at the same time! While it’s still just as important to walk your pets during the summer months, you need to be wary of footpaths, bricks or pebbles which can burn the paws of your pet’s feet. To avoid this, stick to ovals or parks and ensure you always exercise your pets early in the morning or late at night when the sun isn’t as strong. It’s always a good idea to know the signs of dehydration and to watch for them during the warmer months so you can spot the signs early on and help your pet. Common telltale signs of an overheated or dehydrated dog is that it will drool excessively, become lethargic and its eyes will be bloodshot. For cats, look for a refusal to eat, dry and tacky gums, or skin that falls slowly back to the body when pinched. If you think your pet may be unwell, please consult your Vet for further advice. What’s your favourite way to spend a summer’s day with your pet? Let us know on Facebook.